The idea of AI brings out a range of emotional responses. Some are positive, particularly from those with the early adopter mindset who like the idea of say, self-driving cars. Others take a more dystopian view, which suggests robots are taking over the world with an overall sense of doom. You may have seen the film! Given how much this is being talked about, and how much Artificial Intelligence (AI) is beginning to impact all our lives and our businesses, it is important that we all understand more about it. As is often the case, reality is far less dramatic that the emotional responses we encounter suggest. AI will need to go through a number of stages of development before it reaches the most extreme scenarios – if it ever does. In our recent book Beyond Genuine Stupidity – Ensuring AI Serves Humanity, we explore the possibilities and challenges presented by this game changing technology. In this article we draw on key concepts to demystify the fundamentals of AI. What is Artificial Intelligence and why now? At the core of AI is the concept of developing intelligent machines: the idea of computer algorithms that can work and react in a similar way to humans. This includes applications such as performing speech recognition, natural language processing and translation, visual perception, learning, reasoning, inference, strategising, planning, intuition, and decision-making. People have been working on these kind of concepts since the 1940’s and AI has experienced many false dawns or ‘winters’ as people working in the AI community like to describe them. The development of far more efficient and smarter machine learning tools – the core algorithms through which AI systems develop intelligence. In parallel, computer hardware processing power and transaction speeds have accelerated. Cloud computing allows us to share and combine data and processing power across the globe. …money. The scale of the opportunity presented by AI has seen billions of dollars being invested by these new technology companies, corporates in other sectors, and venture funded start-ups – so the game is well and truly on. There are a number of different fields which fall under the broad umbrella of AI. Let us briefly look at the main ones. The most common are rule based or ‘expert’ systems, which can apply vast number of rules on a consistent basis. These have been around for more than 30 years. The common applications including the processing of loans and mortgage applications and basic medical diagnosis. Robotic Process Automation (RPA) is the next stage on, with machines performing complete processes that in the past required a combination of rule based decision making and an element of human judgement – common in tasks such as handling calls to service centre, processing an insurance claim, or checking the calculations in an architectural design. Tasks considered closer to true human intelligence include voice recognition, interpretation of human conversations conducted in ‘natural’ languages, and speech generation. Similarly, considerable progress has been made with computer vision – enabling the ever-more accurate recognition of images – with application as diverse as spotting misshapen pies on a production line through to facial recognition for airport security purposes. Other increasingly deployed AI applications include tools that can undertake sophisticated planning, scheduling, and optimisation of tasks – encompassing everything from manufacturing to crew rostering. Machine Learning is currently the hottest field in AI. It is all about using statistical techniques to help systems learn from data. 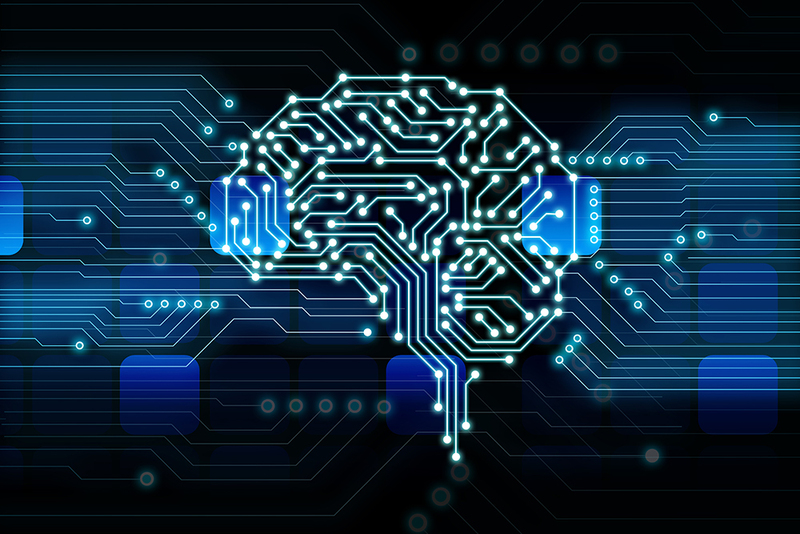 This is the area gaining most attention at present because of its potential – namely the use of neural networks and deep learning algorithms to develop systems with learning capabilities closer to those of the human brain. These tools are being used across a range of applications. The most common, which you will have encountered are chatbots which perform increasingly sophisticated customer interaction tasks. They do this by combining machine learning, natural language processing, and speech generation. Finally, robotics is being put to widespread use in everything from warehouse management and surgery to cooking burgers in restaurants. Robots typically combine a number of the other AI fields to provide smart mechanoids. As we said the feeling now is that AI is here to stay. It may well become central to every aspect of human experience, from running companies, legal systems, and economies to detecting and treating diseases. When said like this, you can truly appreciate the extent to which AI will impact not just our businesses but our lives as a whole.